This Love story affirms that all choices, no matter how unimportant, often have scattering effects. It is a story of needs and disillusionments as much as passion. The year is 1937. It has been a long journey for Poppy and her two sons, A.J. and Beau. Poppy's harrowing marriage to Jay Alexander has ended; however, he was given every opportunity to develop strength of character. Poppy's decision to house Beau in the Baxley Home for Boys was guaranteed to bring heartbreak and tragedy. Twenty long years have passed, and Beau is now a grown man. Investigators have been hired to locate Poppy and A.J. Poppy's Garment Factory is a fashionable success, and she manages to survive on her own terms. 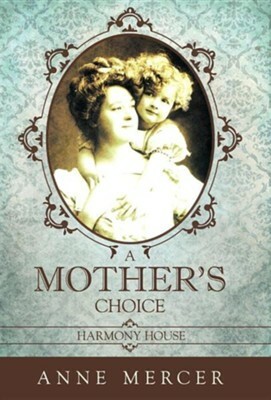 I'm the author/artist and I want to review A Mother's Choice: Harmony House.